This guide is designed to walk you through the process of getting your printer set up and printing for the first time. Unboxed or unpacked your printer, dry box, and all other components that were shipped with your printer. Review the Getting Started card that came with your printer. Set up and logged in your Eiger account. Registered your printer to your Eiger organization. Read the Safety First page for X7 Printers. Most X7 users print online via Wi-Fi or ethernet. This guide will walk you through the set up necessary for online printing. If you experience network issues or cannot print online at any point, a version of this guide for offline printing can be made available. 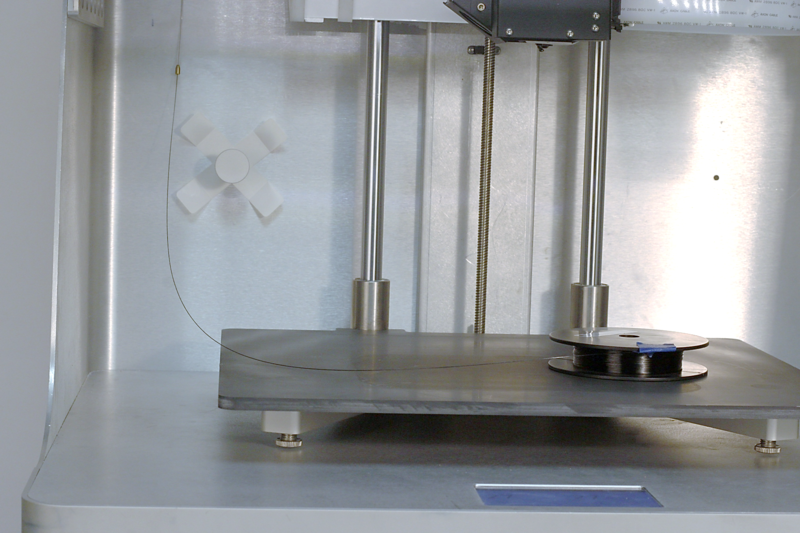 Only use materials that have been approved by Markforged for use with the X7. 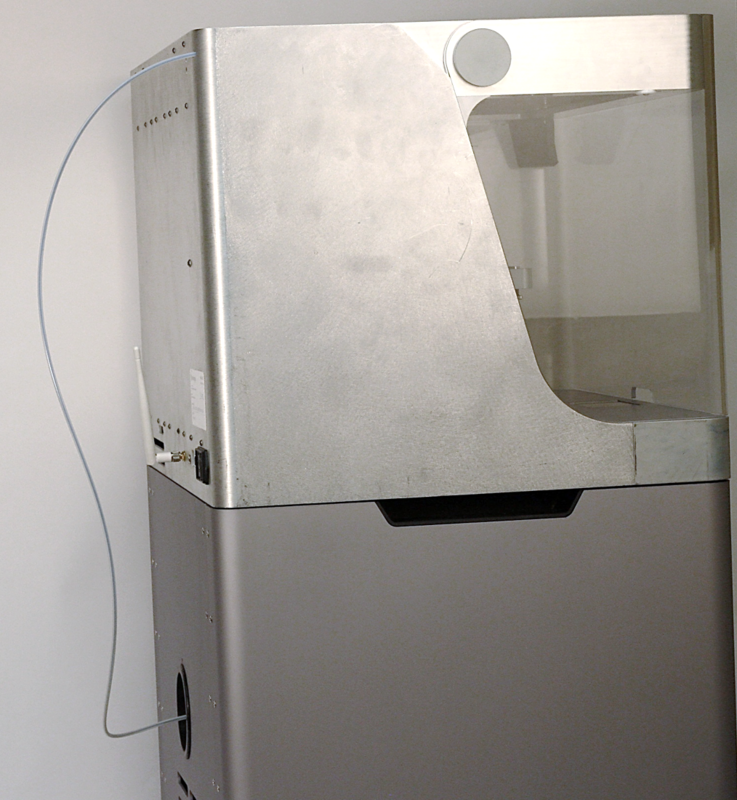 The X7 is designed to work only with Markforged's proprietary materials and consumables. Always follow proper procedures when storing Plastic materials. Nylon or Onyx that has absorbed too much moisture will lead to under-extrusion, which can cause print failures. Please take special care to never leave Plastic materials exposed to ambient air, and always keep Plastic materials in the provided Dry Box. Open your dry box and remove the white spindle from the inside. 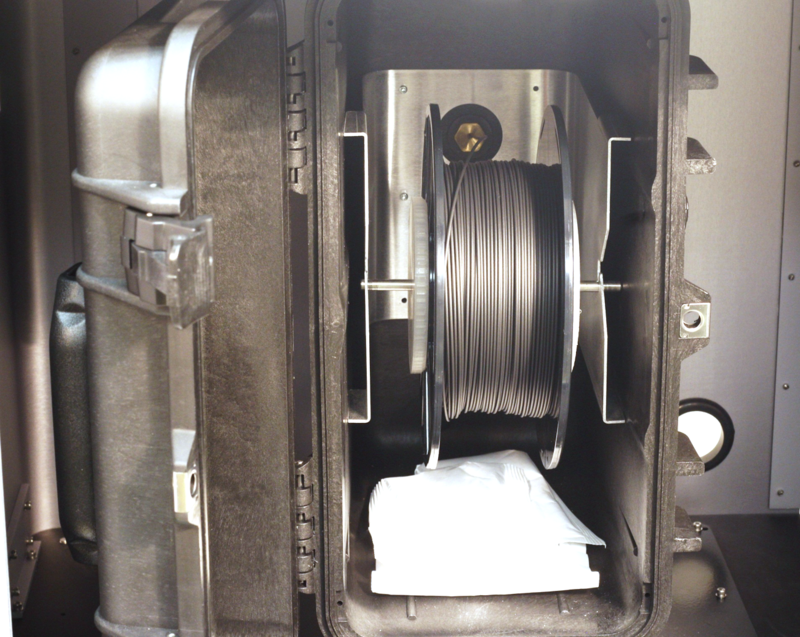 Open your Plastic Filament material bag. 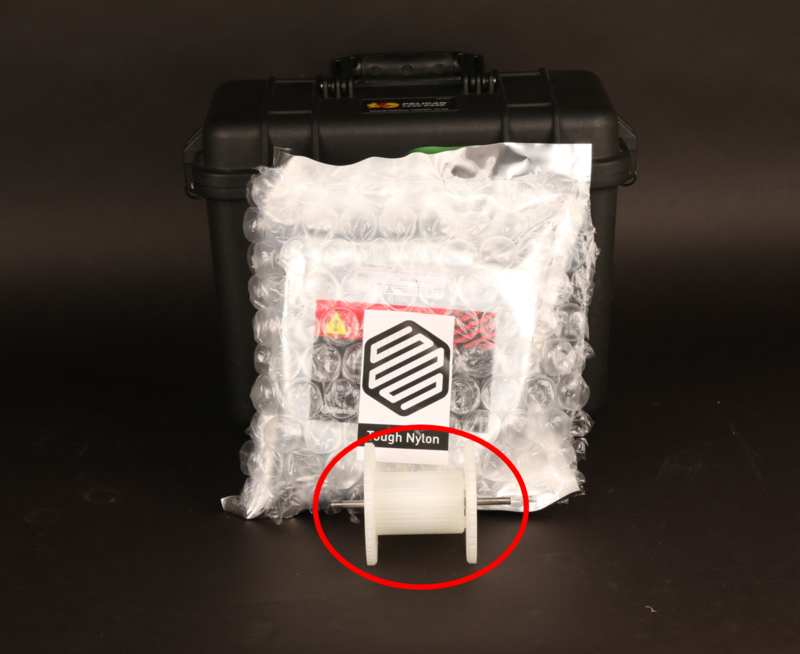 Remove the desiccant pack from the material bag and put it in the bottom of your dry box. Place the white spindle through the center of the spool of Plastic Filament and attach the spindle cap so the magnets connect. Place the spool and spindle in the dry box. Insert the Plastic Feed Tube into the dry box and cut the Plastic Filament so that it can easily unspool to feed into the tube. Feed the Plastic filament all the way through the Plastic Feed Tube and close the Dry Box. Note: You should hear 2 clicks for each latch when closing the Dry Box. Feed the Plastic feed tube through the hole in the back of your printer. Run the "Load Plastic" routine by selecting "Menu" -> "Load/Unload Materials" -> "Load Plastic" on your printer's touch screen. Follow the on-screen instructions to load Plastic before moving on to the next section. Use pliers to remove the extruded plastic material from the nozzle. Run the "Load Fiber" routine by selecting "Menu" -> "Load/Unload Materials" -> "Load Fiber" on your printer's touch screen. Follow the on screen instructions to load fiber. As the fiber is loading, follow steps 6 and 7, below, to place your fiber spool on the spindle without letting it unravel. 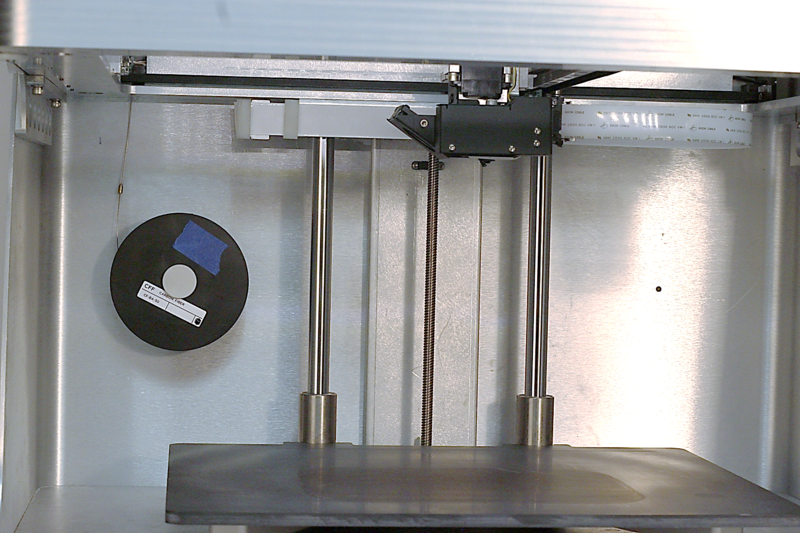 Before printing a part, you will need to level your print bed and apply glue where the parts will print. 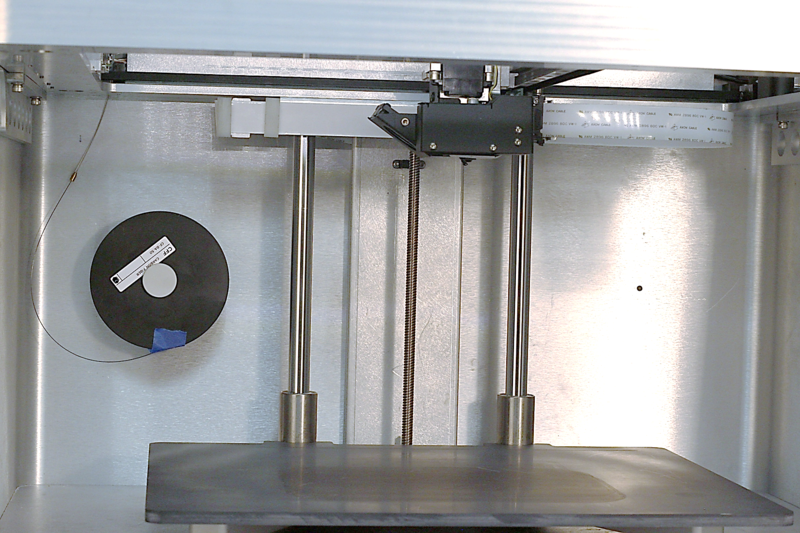 Leveling the print bed helps provide the best chance of print success and minimizes warping. Applying glue is important for getting a well-adhered first layer and will help with removing parts after printing. Install the print bed on the printer. Run the "Shim Bed Level" utility by selecting Menu -> Level Print Bed -> Shim Bed Level on your printer's touch screen. 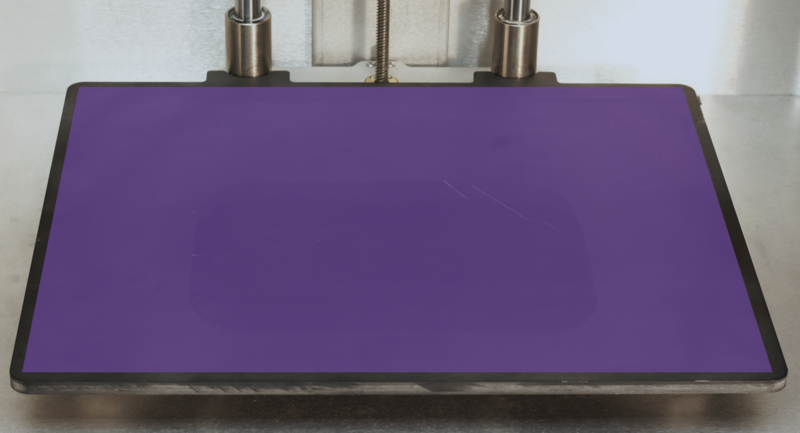 Apply a thin layer of glue to the entire print bed, as shown in purple in the image below. Run the "Bed Level Test Print" utility by selecting Menu -> Utilities -> Test Prints -> Bed Level Test Print on your printer's touch screen. Apply glue from the provided glue stick to the print bed for your part, as shown. Re-install the print bed on the printer. Go to https://eiger.io in your Google Chrome browser and sign in. Select the "Logo Keychain Nylon" from your Eiger library. Select "X Series" from the "Printer Version" dropdown menu in the "Part Settings" panel on the right side of the screen. 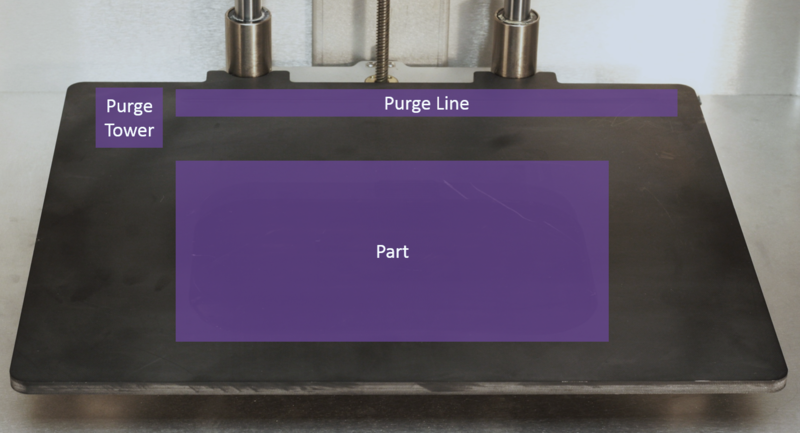 Select the material types that you will use for this print from the drop down menus in the "Part Settings" panel on the right side of the screen. Note: This part can be printed with any combination of fiber and plastic. If you have loaded materials other than the defaults for this part, please update the materials field in Eiger to reflect your materials. If you print this part in Onyx, consider changing the name of the part to reflect the material change. Click "Print" at the bottom right corner of the screen. Move the part to the center of the printable area displayed on the screen. Select your printer from the drop down menu in the "Printing Settings" panel at the right side of the screen. Wait for the print to finish successfully. Use the provided scraper to remove the part from the print bed. 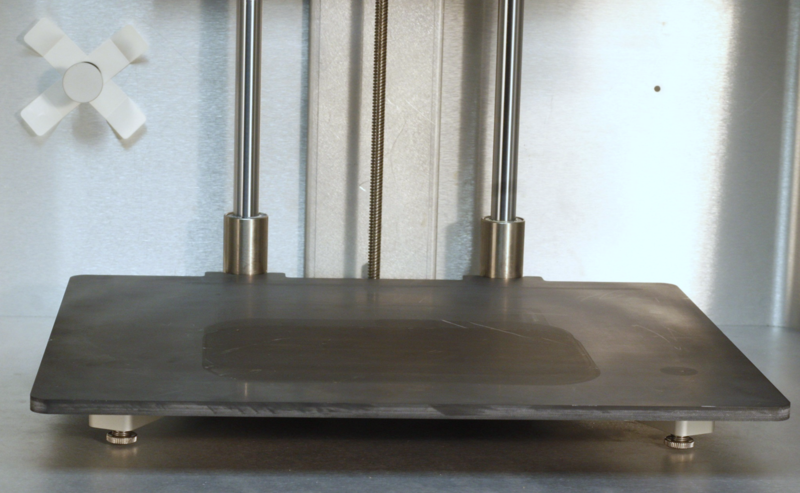 Warning: The scraper provided with Markforged printers is sharp and can cause injury if used incorrectly. Use warm water to clean the glue off the print bed. Select the "Logo Keychain Nylon" part from your Eiger library. Select "Export Build" from the drop down menu in the "Printing Settings" panel at the right side of the screen. Print the part from storage by selecting Menu -> "Settings" -> "USB/On-Board Storage" -> "Print from Storage".